Sumeet Jhingan and Fatema Ebrahim. 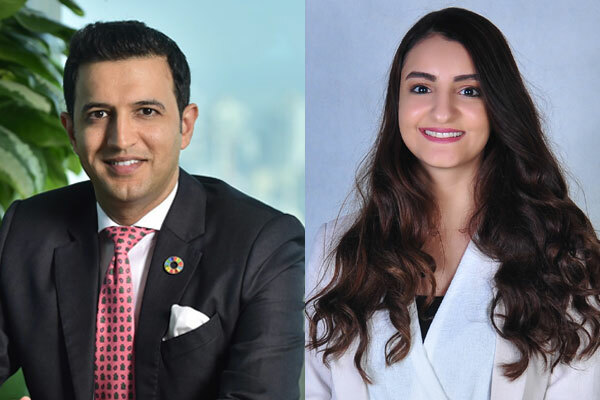 Capital Club Bahrain is set to join hands with Andra Public relations & Corporate Communications to launch its Fintech series which will feature leading corporates and startups from the kingdom and the Middle East and North Africa (Mena) region. To be held later this month, the Fintech Series will highlight Bahrain's strength as a fintech hub, said a statement from Capital Club Bahrain. The initiative goes towards supporting the fintech ecosystem growth in Bahrain, and provide a engaging platform for the industry leaders to share their stories, and address the most pressing issues besides the latest trends in the sector, it stated. The new monthly event will focus on various fintech innovations and themes that will shape different industries and sectors within the region. This includes a special focus on developments in regtech, money transfer, blockchain, and more, it added. In addition, the series will be documented creating a Fintech channel that will be accessible to everyone. The Fintech series will build a compilation of insights and also serve as a learning tool for prospective Fintech enthusiasts, and entrepreneurs, said the statement. Capital Club Bahrain General Manager Sumeet Jhingan said: "As a premiere private business club, we act as a catalyst in connecting businesses and take pride in collaborating with companies and institutions which encourage innovation and technology in various business sectors." The association with Andra will give a platform to fintech companies and start-ups to connect and exchange ideas in a more business conducive ambience, he noted. "We have hosted International & Regional Speakers at the club on Fintech and Blockchain technologies and look forward to creating more business and networking opportunities in the future. As financial institutions and banks are embracing the fintech revolution we are keen to be part of this initiative to encourage more fintech ventures and global financial institutions to come to Bahrain," noted Jhingan. On the tieup, Fatema Ebrahim, the founder of Andra PR, said: "I am excited to collaborate with the Capital Club Bahrain, and allow this space to be accessible for Fintech corporates and startups to share their journey, insights and exchange valuable information for others in Bahrain, and the region."